(GWINNETT – METRO ATLANTA) August 2, 2018 – Partnership Gwinnett, the largest local economic development organization in the state of Georgia, announced the top three winners of its first-ever Amazing Student Entrepreneur competition. First Place: ContraBand Clothing is owned by Mya Swaby, a rising senior at Brookwood High School. ContraBand is an apparel company that designs and produces augmented reality clothing. Second Place: The Key Images is owned by AkeyJah Charles, a rising senior at South Gwinnett High School. The Key Images is a photography service specializing in portrait, advertising and event photography. Third Place: Complex Culture Photography is a photography business specializing in lifestyle and portrait photography. The business is owned by Komlan “CJ” Amousou, a recent graduate of Grayson Technical High School, who will attend Gwinnett Tech in the fall and major in Photography. This year’s winners had strong support from their respective communities and schools in Gwinnett. Entrepreneurial training courses, workshops, small business advising, as well as licensing were accessible to each of the winners. The top winners are not new to putting their business plans to the test and have excelled in other local entrepreneurship programs, like the city of Snellville’s Shark Tank student entrepreneur program. 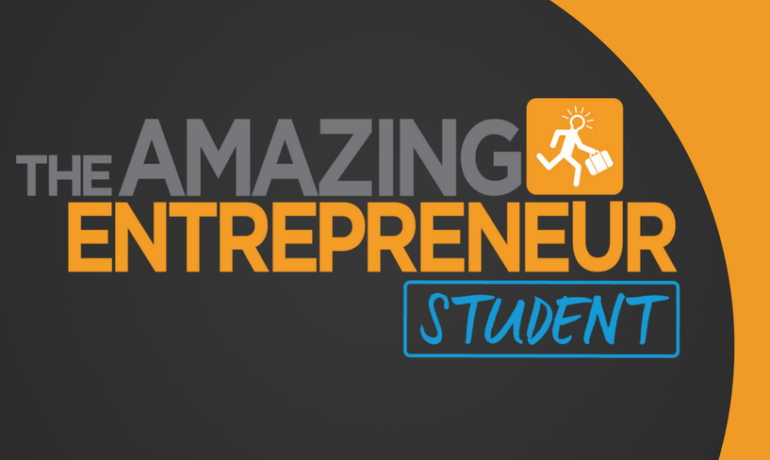 For more information on the Amazing Student Entrepreneur Contest, please visit www.amazingentrepreneurcontest.com. For more information or to learn how to get involved in the local economic development efforts, please visit www.partnershipgwinnett.com. Partnership Gwinnett is a public-private initiative dedicated to bringing new jobs and capital investment to Gwinnett County, Georgia. Since 2006, Partnership Gwinnett has worked with its local partners to attract and retain jobs, cultivate capital investment, support educational institutions, foster workforce development, and contribute to the exceptional quality of life found in Gwinnett. Fueled by the support of over one hundred companies, municipalities, Gwinnett County, K-12 and higher education systems, the mission of Partnership Gwinnett is to strengthen the community’s diverse economy to compete in the global marketplace and position Gwinnett as the premier place to live, work and play.